Poopee Chic is the chic new way to keep bathroom odours at bay! With a rich sandalwood fragrance, Turd Degree Murder from Poopeechic™ is the ultimate gift for a friend that has everything… including bad odours! 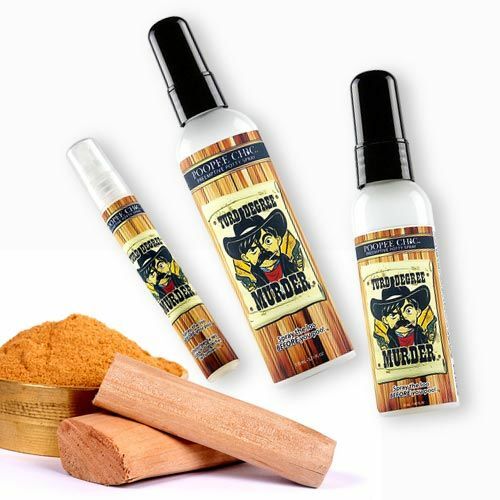 With a rich sandalwood fragrance, Turd Degree Murder from Poopeechic™ is the ultimate gift for a friend that has everything… including bad odours!